All editions are beautifully designed and are printed to superior specifications; some include illustrations of historical interest. Barnes & Noble Classics pulls together a constellation of influencesbiographical, historical, and literaryto enrich each reader's understanding of these enduring works.Perhaps the best-loved nineteenth-century American novel, Mark Twain's tale of boyhood adventure overflows with comedy, warmth, and slapstick energy. It brings to life an array of irresistible charactersthe awesomely self-confident Tom, his best buddy Huck Finn, indulgent Aunt Polly, and the lovely, beguiling Beckyas well as such unforgettable incidents as whitewashing a fence, swearing an oath in blood, and getting lost in a dark and labyrinthine cave. 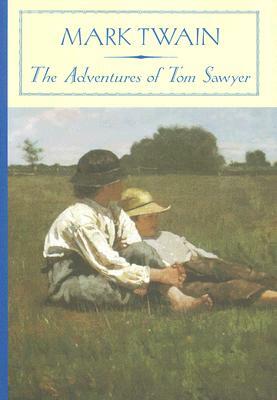 Below Tom Sawyer's sunny surface lurk hints of a darker reality, of youthful innocence and naivete confronting the cruelty, hypocrisy, and foolishness of the adult worlda theme that would become more pronounced in Twain's Adventures of Huckleberry Finn. Despite such suggestions, Tom Sawyer remains Twain's joyful ode to the endless possibilities of childhood.H. Daniel Peck is John Guy Vassar Professor of English at Vassar College and is the author of Thoreau's Morning Work and A World by Itself: The Pastoral Moment in Cooper's Fiction.